There are 2 reviews of Reckless pour Femme. Lemme tell ya what I smell. I smell a woman who spends her money recklessly, that's what I smell. I get a sparkling whack of sugared aldehydes that dissipates in about 20 minutes. There's still the sweetness of the jasmine and ylang ylang to carry forward, cut with the sturdy grace of geranium which seems to dominate. The base comes forward in a rubber vanilla underpinning. Not plastic, mind you, and I mean it's very pleasant in a Guerlain kind of way, except no powder. I've had plenty of Apple Blossom amarylis, supposedly the ones with a delicate, subtle, sweet aroma. I never noticed any smell to them at all, and you know I stuck my nose in several. I don't know what to make of a supposed amarylis note. It's very soft. Projection is low. Sillage? Not that I can tell. At an hour I'm thinking it's gone, but a walk out into a warm summer night reactivates it and I catch a pleasant whiff when my arm is about six inches from my face. At two hours, it's a skin scent. Still has a luminous floral petalness, sweetness, vanilla-musk-benzoin-ness. 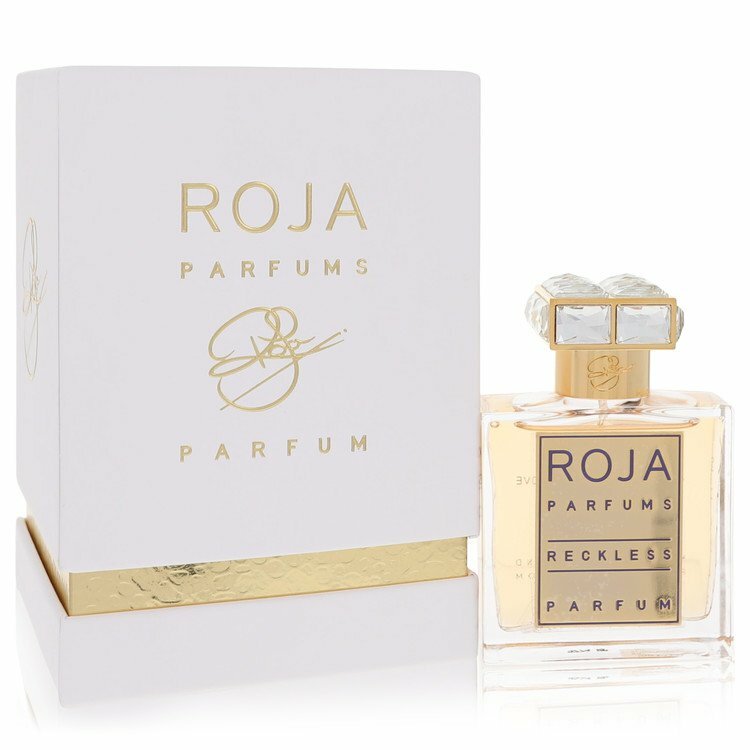 I went to the Roja site to see what they had to say, because I also find Roja Lily to be very soft with poor projection, low sillage, and sure enough! The description of most of the fragrances includes "soft". Well. So they are doing it on purpose. I do still get the occasional presence if I push my hair back from my face, so it's there, but let me tell you. It's SOFT. Mind you, what there is of it is very pleasant, and the Lily lasted as a skin scent for about 12-14 hours. I've always been one to only scent my personal space; my personal space doesn't conform to my body in a 1 inch thick atmosphere. This is for the woman who doesn't want anybody to know she's wearing perfume. Not even herself. I wore Fresh Sugar Blossom just the other day on one arm. I prefer it. This is the sweetest scent that I can handle - and it is lovely! 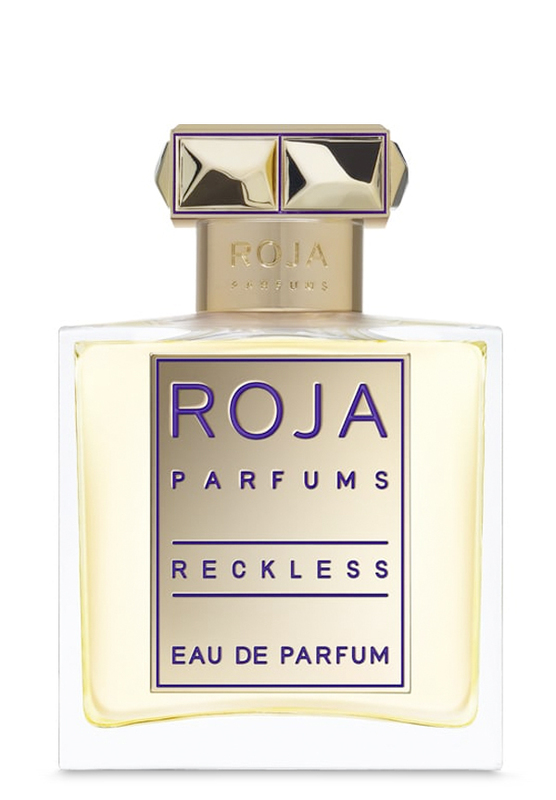 The name is really amusing as "reckless" would have you believe it is far more wild and well, reckless. Let me be clear: this is a candy shop for grown-ups. It is high-class sweets. The initial notes conjure up Saturday morning cartoons with a bowl of fruit-loops, however that imagery and scent is short-lived. What follows is a sweetish floral, yet somewhat fruity scent-journey that almost feels like a dream. The dream begins with the open doors of a candy shop - it's initial blast is intense, which is over-bearing and almost offensive. You turn your head, but then...then you find a note, something you identify as maybe a peach. But is it a peach? As you find yourself moving through the doors, you notice that the walls are not covered in silly imagery of candy and cartoonish critters, but rather a dark eggplant that speak to the luxurious offerings behind the glass counter, where adults in black uniforms stand waiting to speak softly to customers. Wall sconces gently illuminate the room and soft opera plays overhead. Your steps are softened on the hardwood floors by darkly colored Persian rugs. The notecards in front of each silver platter piled high with sweet goodies suggest unusual pairings, and no prices. This is both good and very good. This is a most adult and divine indulgence. The dream moves on. Sugared flowers grace platters and candied fruit perches on the sides of crystal glasses, awaiting whatever spirits the connoisseur desires. Limes dipped in dark chocolate, cinnamon dusting truffles, and the scent of jasmine tea fills the air and entices the eye. The dream is filled with the desire and the imagination...the scent and the wish. There is a sensuality to this space and to this level of luxury. You choose your delicacies and return to your lover...this is only the beginning. There are no member images of Reckless pour Femme yet. Why not be the first?